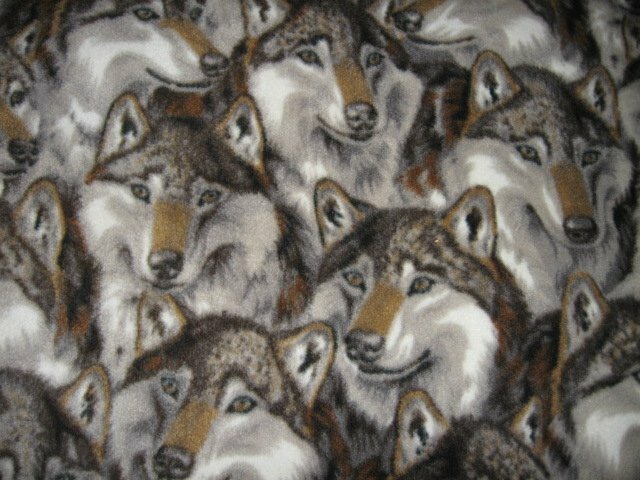 Nice gift for your favorite wolf lover. 100% polyester, machine wash-cool, tumble dry-low, remove promptly. The edges are clean finished with pretty stitching. Measures approximately 60"X72"wide. Very Large.